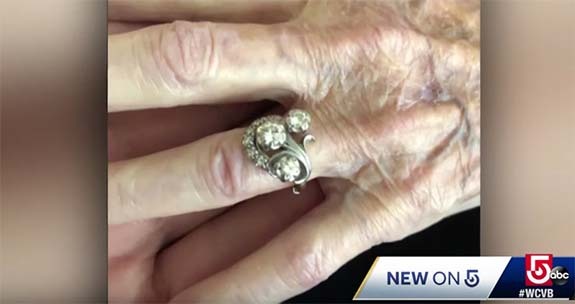 At 93 years young, Marie Gladman has lived a wonderful life — a life symbolized by a custom floral-motif ring made with the diamonds harvested from four rings gifted to her by her beloved late husband, Wally. 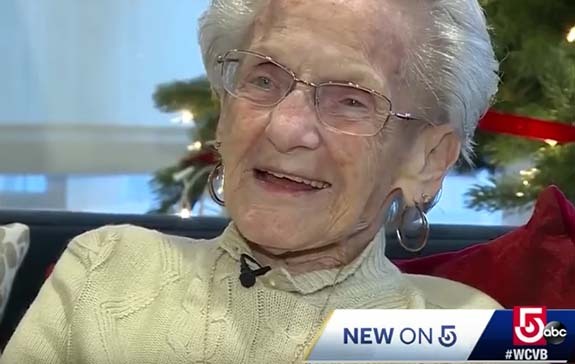 When Marie lost her ring on a shopping trip in early December, her world was turned upside down. 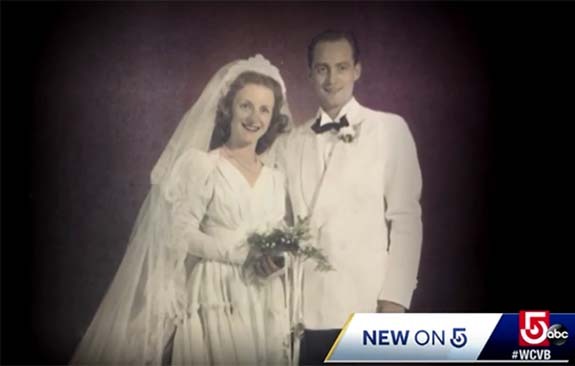 At the time, a news crew from WCVB Channel 5 Boston caught up with Marie, who explained that the ring told the story of her 55-year marriage to the love of her life. The first ring Marie got from Wally was a promise ring on her 19th birthday. He followed that up with an engagement ring, wedding band and, 50 years later, an anniversary ring. The resulting keepsake has a floral motif, with a large diamond blooming from each stem. To Marie, the ring was priceless. But then on that fateful day in December, Marie looked down at her left hand and noticed the ring wasn’t there. She knew she dropped it somewhere near the Shaw’s supermarket. Her family retraced Marie’s steps that day. The family also alerted the local police department, but the ring could not be found. 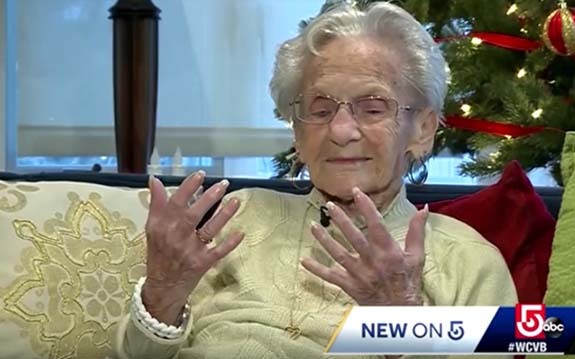 With Marie set to celebrate her 93rd birthday in January of 2019, a reporter asked her what would be the best thing someone could get for her. “It would be the ring or my husband,” she said. More than four months later, on Tuesday, March 19, a little girl found Marie’s ring at Shaw’s supermarket. 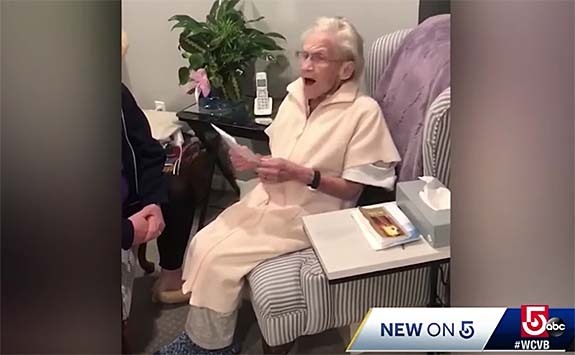 She turned it over to a clerk, and by 10:30 the same evening, Marie’s relatives decided to wake up the nonagenerian to give her the good news. Marie was speechless as she received an envelope containing her ring. The next day, a reporter asked Marie if she thought the return of her ring was a miracle. “For me, it is a miracle,” she confirmed, adding that from now on she’s going to be more cautious with her ring. “I’m always looking at it to make sure it is there,” she said. Marie’s family would like to reward the little girl who found the ring. As of this writing, the girl’s identity remains a mystery. Credits: Screen captures via YouTube.com/WCVB Channel 5 Boston.